Today’s Suggested Pairing: Laphroaig 10 yr and Mogwai’s Mr. Beast. Read on to find out why these two complete one another. In the inaugural SotR, I mentioned the big baddies of Islay. It seems fitting to discuss one of these island powerhouses. What makes these whiskies so audacious? Peat. Peat produces THE characteristic smoky flavour of Scotch and Islay is known for peat. It is not surprising that the Laphroig 10yr is full of rich, smoky peat. Beyond the peat, there is a balance of sweet and salty notes with hints of iodine. If you’ve ever spent a rainy evening in a castle on a Scottish isle by a peat fire, the Laphroaig should take you right back. The 10yr is often available in bars and most liquor stores. It is well worth the price. The 15yr mellows out any harshness appropriately, if you feel like moving up a rung. Peat is often something you come to love… so don’t be discouraged. You might not be ready for one of the Big Baddies. We’re here for the journey not the destination. Mr. Beast is delightfully rich and dense. 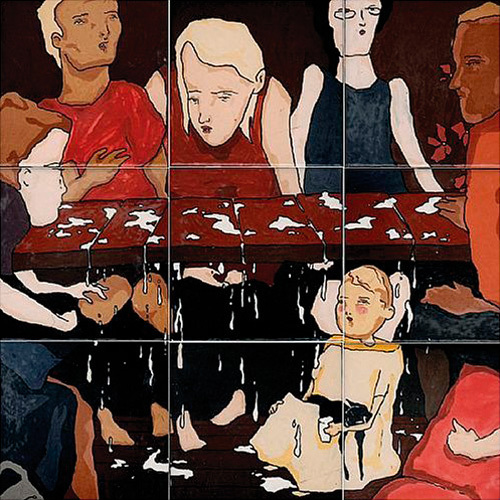 In some ways, this album does a lot to remind the listener that Mogwai are a loud, guitar-rock band. Far from one dimensional, the album begins with a lovely motif courtesy of Mr. Burns’ keys which slowly builds and encapsulates. “Glasgow Mega-Snake” will have you praising the works of Jim Marshall. As with the Laphroaig, the initial rush of Mr. Beast calms to a mellow, reflective enjoyment before beginning a coastal ebb and flow. Think of the thick, muscular guitars as the peat. Musically, there is always a touch of salt to the sweet. The Big Baddies demand your attention and so does Mr. Beast… sit down with a dram and experience them both (and then buy albums, concert tix and merch too).